In “The World of the United Humanity of the Universe and Its Fundamental Doctrines,” the author has taken on some complex current events that have a serious impact on not only the humane treatment of each other regardless of religion, politics and sexual orientation; but the pollution and potential destruction of our environment and earth as we know it. A short read of just 26 pages, the author, known only as A Messenger of the Absolute Creator of the Universe, provides readers with ten fundamental doctrines that, if followed, will ensure equal, respectful treatment of all individuals living on this earth. Given today’s current social and political environment, these fundamental doctrines are easy to read and follow. I particularly liked the Fundamental Doctrine 2 that states we all belong to the same family and are equal, while nobody is superior to others. As a society we seemed to have forgotten this. Given we are all from the same family, it means we should unite and quit discriminating, bullying, hating and harming each other. Doctrine 5 states that no individual, group, organization or government shall create an environment that jeopardizes the safety, rights or freedoms of each. For me, this one may be a bit harder to complete currently since we as a world are so controlling. As I was reading this, it all seemed so simple to follow, but certain groups and individuals will make it hard to accomplish. It only needs to start with one individual at a time until it builds to where we need it to be. Another interesting doctrine was one that stated if an individual passes away who lives in peace and harmony, they shall be taken to heaven. If someone made mistakes but has corrected them, they also will go to heaven. However, it states, those who chose not to correct their mistakes while living will be placed in a constructive purification training process. The final chapters address how to establish the WUHU and its government. The writing was easy to read with numerous color pictures and timelines. The theory behind this read is interesting and hopefully common sense. It provides ample opportunity for each of us to make changes within ourselves which hopefully will ripple to others. 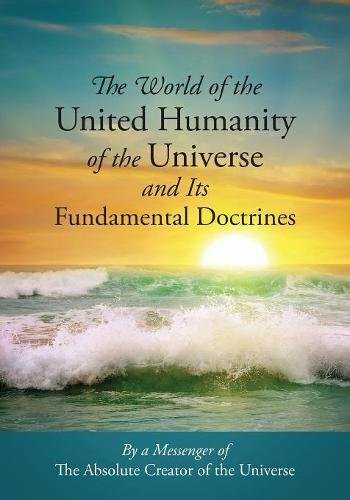 I recommend anyone who is interested in helping make positive changes in our strife ridden world read “The World of the United Humanity of the Universe and Its Fundamental Doctrines,” and apply some of the basic principles.